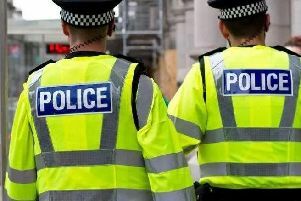 Seventeen people were arrested in Mid Sussex over the weekend for a variety of offences. Mid Sussex Police revealed the arrests on Twitter. Over the past week, officers have been conducting operations in the area. Yesterday (April 15), PCSO’s were out on rural crime prevention visits in Balcombe and Ardingly, Mid Sussex Police said on Twitter. On Thursday (April 11), patrols were out in Hassocks and Hurstpierpoint targeting anti-social behaviour, said a spokesman. And on Friday (April 12), officers were letter dropping in Lindfield following reports of windows being broken into. To report a crime, please visit www.sussex.police.uk/ro/report/ocr/af/how-to-report-a-crime.